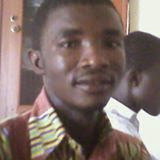 Good news for our teaming youth who are unemployed a company is recruiting workers for estate developer in Ghana. Manhole Technology is a biogas plant construction company. The company designs and constructs bio-gas plants around the globe. Manhole Technology is specialize in the provision of appropriate waste management systems that process organic waste into useful energy and nitrogen-rich plant fertilizer. Manhole Technology has got contract from estate developers to design and construct bio-gas plant for their clients. As a result is recruiting workers to be trained and sent to these sites to take up two-year contract work instantly. In fact, the cost of training is been reduced to GHS 150 instead of GHS 1800 as result this contract . You can decide not to take up a contract after two years-work on your own. You don't need a special academic qualification to be recruited -just your ability to worker.